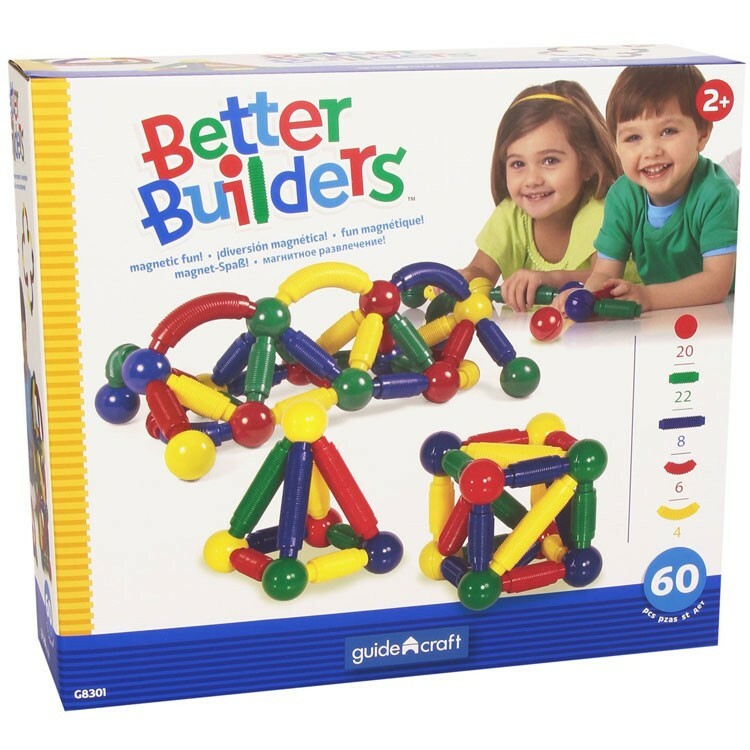 Designed for big imaginations and little hands, this Better Builders 60 pcs magnetic building kit for toddlers and preschool kids offers open-ended constructive fun. 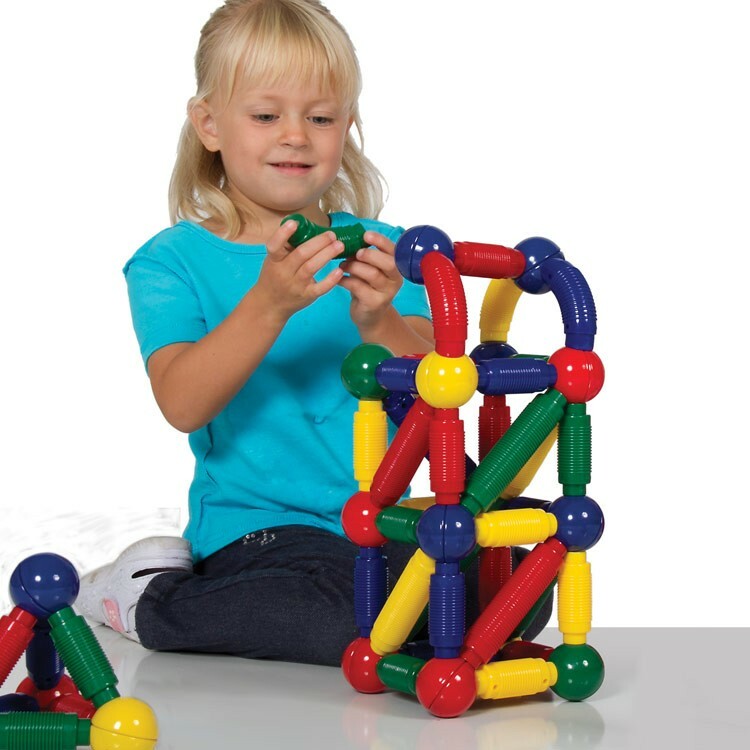 Designed for big imaginations and little hands, this magnetic building kit for toddlers and preschool kids offers open-ended constructive fun.Better Builders Toddler Magnetic 60 pc Building Set is a new construction toy from Guidecraft's Better Builders series. 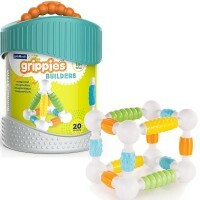 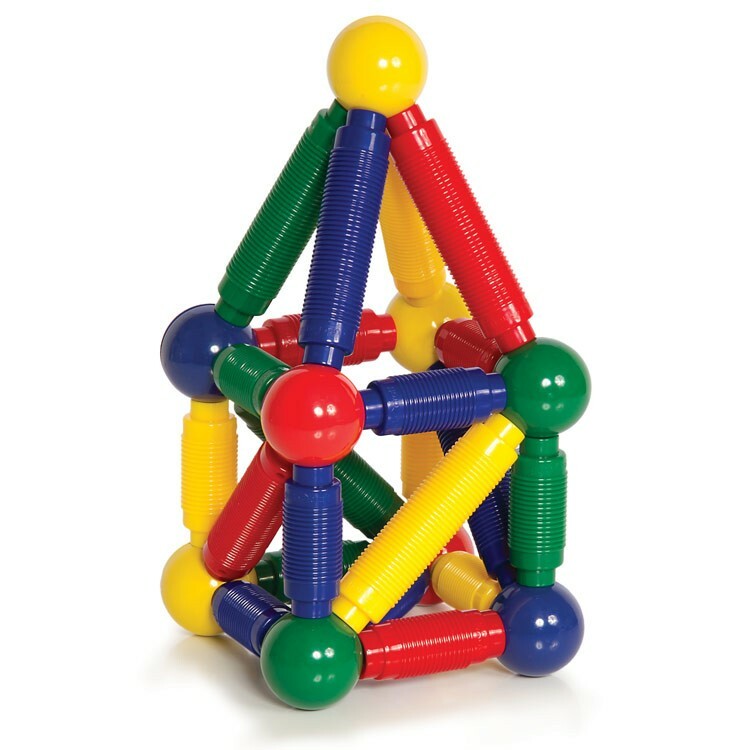 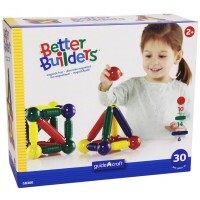 The Better Builders construction sets feature unique construction system with the over sized non-magnetic balls and colorful magnetic rods. 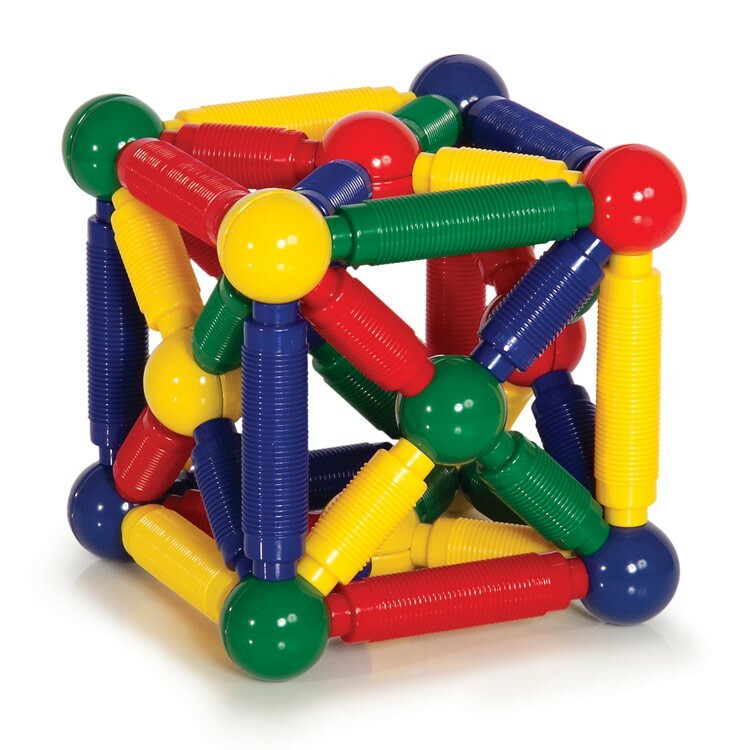 There is a strong magnet, securely hidden inside each jumbo rod of the Better Builders Toddler Magnetic 60 pc Building Set. 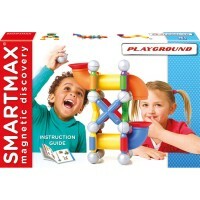 The magnetic building toy comes with 22-pages manual that contains ideas and instructions how to build magnetic models for kids of various building skills level. 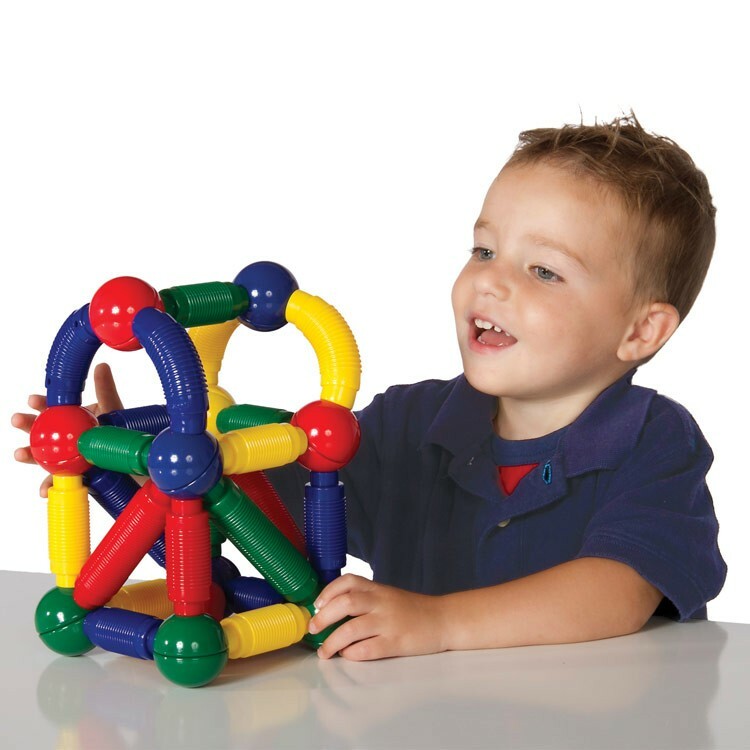 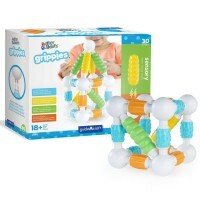 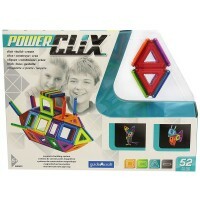 This building toy for toddlers can be combined with other Better Builders magnetic construction sets from Educational Toys Planet for extra building components. 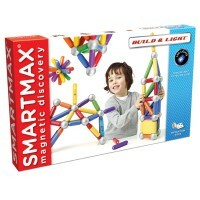 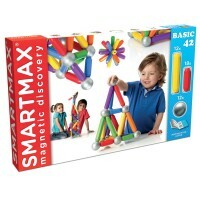 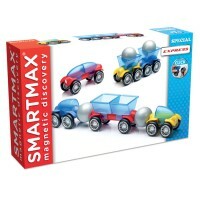 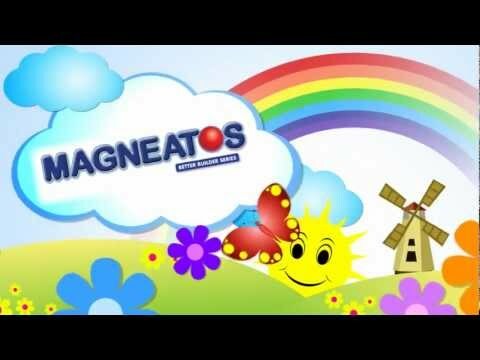 Imagine, design, build and discover science of magnetism behind the whimsical magnetic constructions. 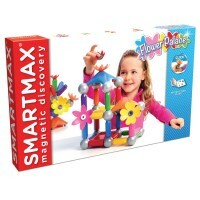 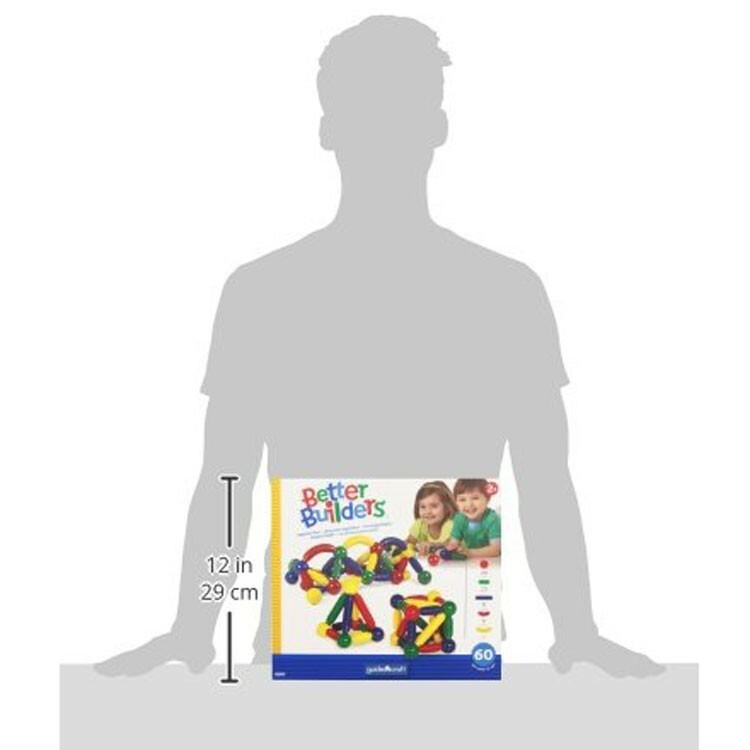 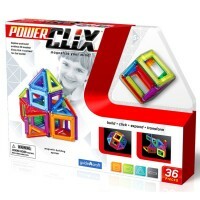 Dimensions of package 11.34" x 12.76" x 4.57"
Write your own review of Better Builders Toddler Magnetic 60 pc Building Set.